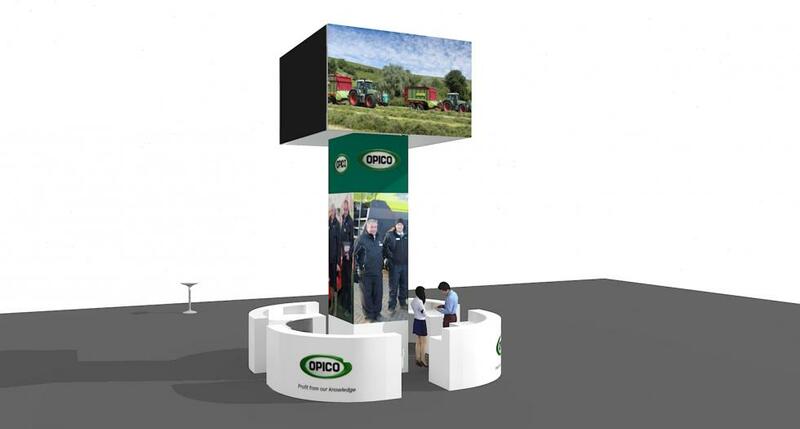 With one of the larger stand spaces at the all new LAMMA, Opico and their partners were keen to make a big impression. 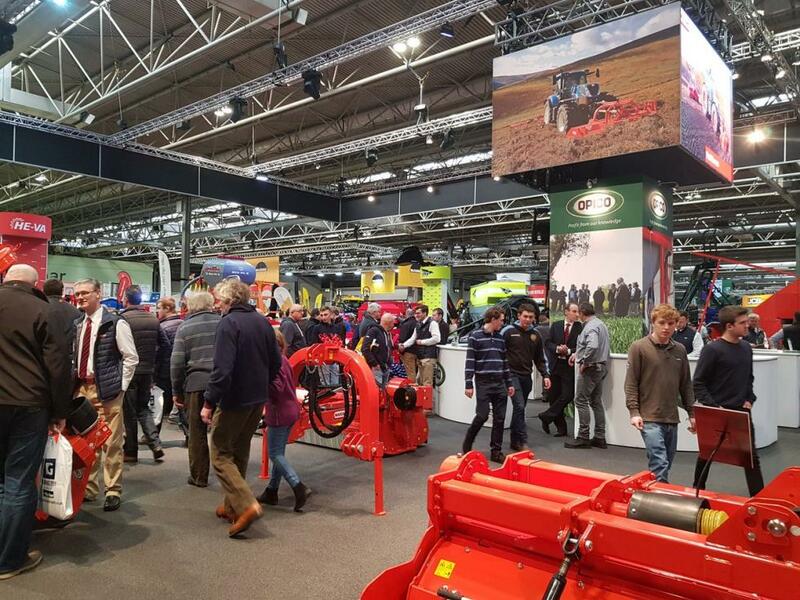 As the lead distributor for HE-VA, Maschio Gaspardo, Sky Agriculture and Strautmann, Opico needed a massive stand space at LAMMA 2019. 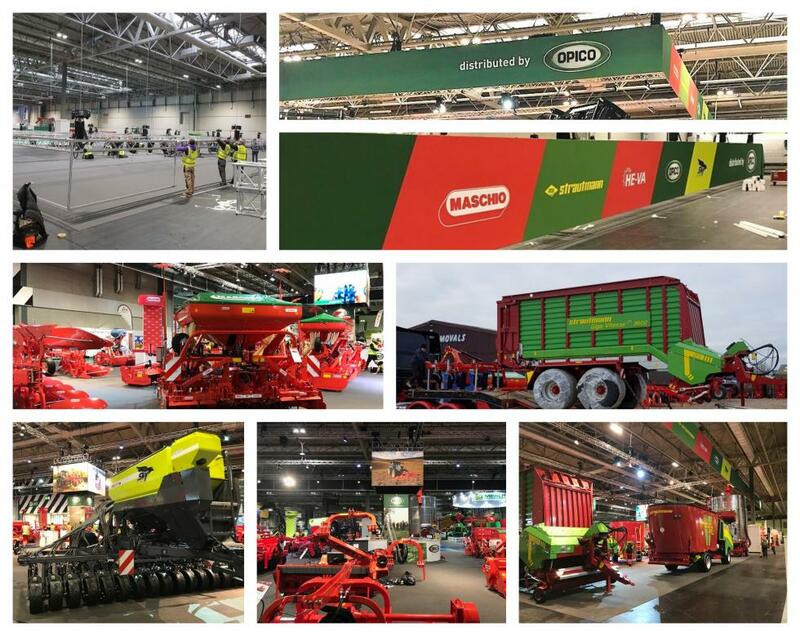 Their 39 metres x 25 metres island space was centrally located in hall 6 of the NEC and we were commissioned to design and build them a custom exhibition stand to showcase their huge selection of farming machinery. They were looking for high-up branding solutions as well as ground level custom displays with branding for each of the partners. They also required a central focus on the stand where refreshment facilities would be located as well as brochures and other merchandise. After working closely with the Opico team to develop the exhibition stand design the final Opico stand consisted of a massive lighting rigging that span the perimeter of the entire stand space. 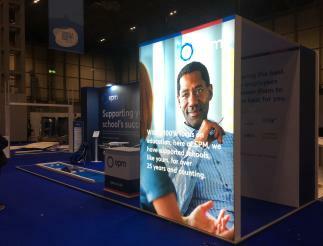 To brand the stand we were keen to provide a better solution than the traditional PVC banner and as such constructed a tension fabric framework, clamping this to the outer sides of the lighting rig. Huge stretch fabric graphics were produced and installed onsite. The 39x25 metre space was to house 29 individual farming machines with the largest, the Opico grain dryer, standing at 6 metres tall. A big part of the build was in the logistics and planning of the transportation to the NEC and positioning of the machinery in hall 6 within the allocated timeframe. Each partner company had a custom designed totem (three sided or two sided) and each totem had built in under counter storage, a large display area for branded graphics and a useful counter top. The top of the totems were crowned with large circular drums each providing partner branding at 4 metres tall. The purpose of the totems was two-fold. 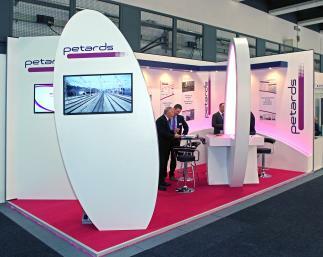 Firstly it was to clearly signpost the partner area on the stand for visitors. Secondly it was somewhere that the staff could store literature, merchandise, personal belongings and a counter top to work. The central booth was a 2m x 4m store that housed the rigging equipment and controls for the LED screens. This was clad in Opico graphics and surround by four large curved custom counters, each one with discreet under counter storage. The coffee machines, fridges and other equipment were stored in the central booth. 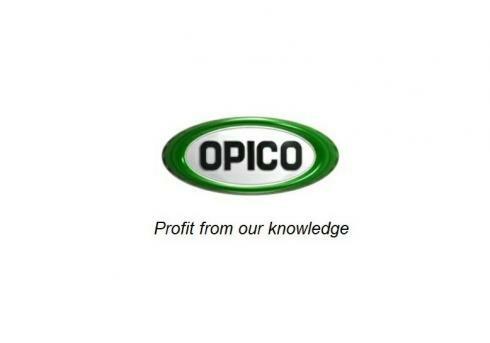 The feedback from the Opico team was that the show was a huge success. Everything went to plan and though timings were sometimes difficult because of the sheer scale of the build, the team pulled it off. 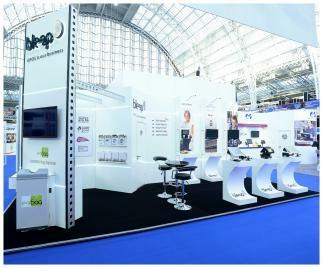 Browse some of our other exhibition stand projects in our portfolio. Click on the project images below to read the full case study. If you want to talk through your requirements give our friendly team a call on +44 (0)1733 570222.